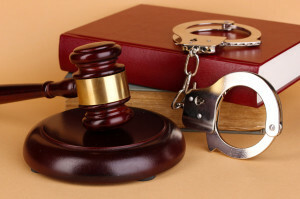 Ehrenzweig Law has handled more successful cases then you can count. If you’re an active cop, sometimes even if your not an active cop you get called down to IAB for a PG hearing. If you lie, it is automatic, your fired. That is in the Patrol Guide. So it is always a good idea to have representation. If you are called in for a PG do not be lulled into a sense of security that this is “just routine”. There is no such thing, they want something from you. You can rely on your union representation, and take a chance, or engage someone who knows what is going on behind the scenes to fight for you. Contact Hugh Ehrenzweig – It is your job, pension, variable supplement and retirement at stake! Ehrenzweig, due to his law degree, was drafted into IAB as a Sergeant and kept as a Lieutenant (before being transferred to OCID). He knows how to do an investigation, what questions to ask, and, what questions not to ask. He knows how the investigative track works. He knows what IAB is looking for and if you are a subject, witness, or subject who may turn into a witness. Ehrenzweig will not allow the IAB investigators to run rough shod over you or get you to answer questions just to turn up the pressure. He has and he will fight back. During one PG the investigators were asking questions. Ehrenzweig objected to many of the questions. With no legal background the investigators did not know that the objections were groundless. Nevertheless, Ehrenzweig threw then off their investigative track. Nothing incriminating was found against his client. You want and need Hugh Ehrenzweig on your side!